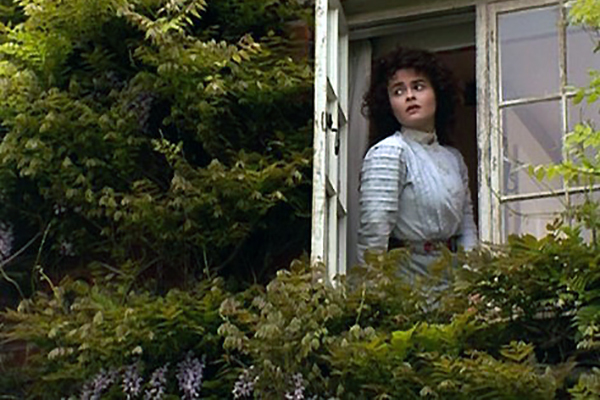 March 13, 1992, the Merchant-Ivory film Howards End premiers. At some point soon after, my new boyfriend and I went to see it. We’d been dating for a month or two (since March 7 and the film couldn’t have been playing locally for too long), and we’d known each other for about a year through the renaissance faire guild we both performed in. Our first official date had been to see an insanely boring, four-hour-long (with an intermission) film about ART called La Belle Noiseuse. But we persevered. We were young and pretentious, and we spent a lot of time at the indie cinemas back then. Howards End, however, was no such trial. This movie was a delight — not frothy, but deep and true, moving, beautiful to look at, engaging all the senses. Of course, there was our goth poster girl, Helena Bonham Carter, joined by the always brilliant Emma Thompson, and a restrained Anthony Hopkins. We were engrossed and enchanted by every minute. The only woman, so far, to win an Oscar for both Best Actress and Best Adapted Screenplay (the later for Sense and Sensibility in 1996). 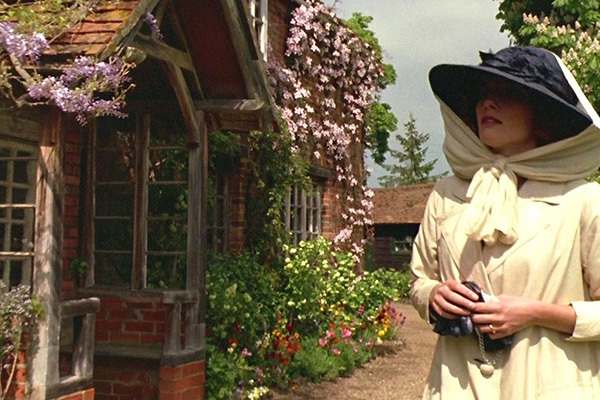 There were the excellent Edwardian costumes by Jenny Beavan and John Bright, who had together won an Oscar for another Merchant-Ivory / E.M. Forster production, Room With a View. 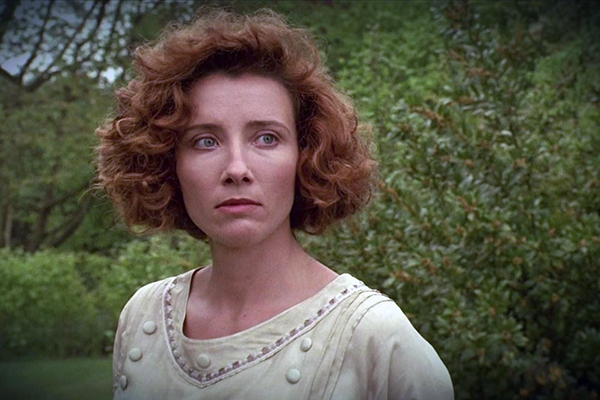 In this film, Emma Thompson won a Best Actress Oscar for her nuanced portrayal of bourgeois older sister Margaret Schlegel who is meant to inherit the eponymous house. 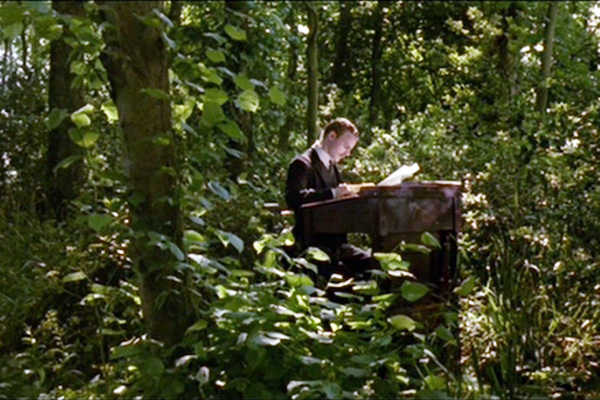 Howards End also won a Best Art Direction Oscar, and while that usually indicates set dressing (for which this film did an amazing job), to me, that includes the whole range of stunning backgrounds in the movie, where England’s streets and countryside play an important role. After all, the movie (and novel) are named after a house. For a great tour of some key locations used in the filming, take a look at this Movie Tourist blog post about Howards End. These settings made a deep impact on me, drawing me into the world as much as the costumes and the language of the period. 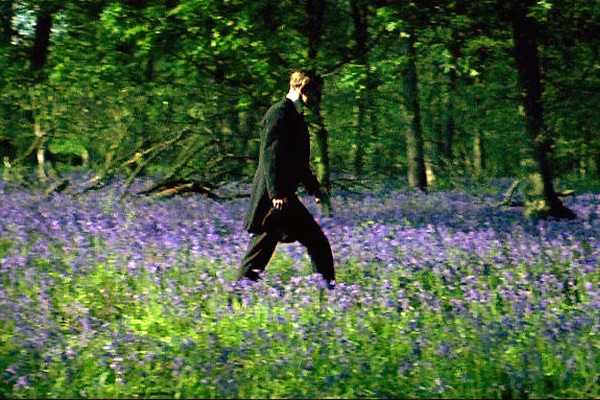 After the movie, my boyfriend and I went for coffee, and I gushed about, among other things, the dreamy scenes where Leonard Bast walks across England with the hills full of flowers. I’d never been across the pond, merely to Canada, even though I’d been a huge Anglophile all my life and a devotee of English literature. Whereas my boyfriend was a world-traveler from a family of travelers. He spent months in London between high school and college and even visited the U.S.S.R. with his dad (before the Soviet Union fell). My one regret in life was missing out on a study-abroad year in college. Now I had graduated and was working a decent-paying, if boring, job, and filling my time with renfaire and historical costumes. Leonard Bast works a dull clerk job, but books take him far, far away. Me too. Hearing my wistful longing to see England, my boyfriend said, why not go? Save up, let’s do it! He made it sound so simple. Because, you know what? It is that simple. You make a plan, and you do it. If you don’t have the money, you use time to save up, and you plan more carefully. We talked about it more and more, and we decided to go together during the next winter break. We each put aside money over six or eight months and delved into researching every little aspect of the trip (this being pre-Internet, when you had to read travel books and make long-distance calls for reservations). 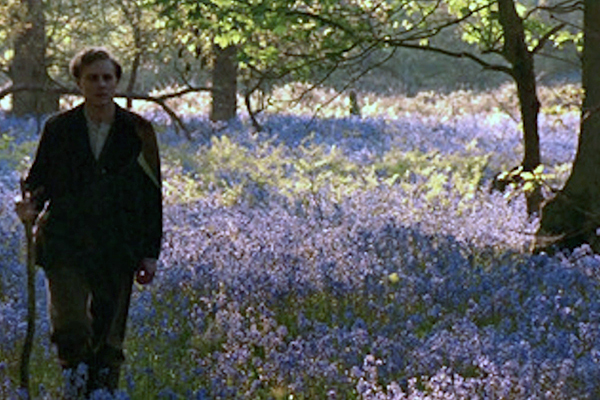 I saw zero bluebells in the UK winter 1992. But I loved it all! Three weeks in the dead of winter — we stayed in London, drove around England, and traveled up to Edinburgh. Our trip looked nothing like Leonard’s walk across a flowery English countryside, of course. I was still smitten. I paid tribute to all the greats at Poets Corner in Westminster Abbey. We visited Jane Austen’s Bath and the Bronte Sisters’ Haworth. We trod the Royal Mile in Edinburgh and saw Stirling Castle and St. Andrews in Scotland. And we haven’t looked back — since then, he and I have married and set foot on all seven continents, including Antarctica. Howards End opened up the world to me like no other movie. Forster’s message, “Only connect,” lead me to connect with people and places I’d long dreamed of, things I’d read of in books and glimpsed in films. The world came more alive, and I was a bigger part of it than ever before. In these English farms, if anywhere, one might see life steadily and see it whole, group in one vision its transitoriness and its eternal youth, connect — connect without bitterness until all men are brothers. 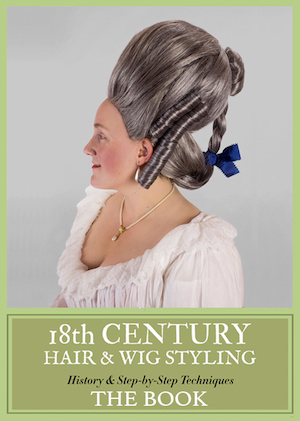 This love of history, and historical costume movies, has inspired more trips, including group vacations to a 16th-century English manor house and a French chateau with fellow Frock Flickers Kendra and Sarah. My husband filmed both trips and made a documentary about the first, titled The Blo Norton Experience, available on DVD here. 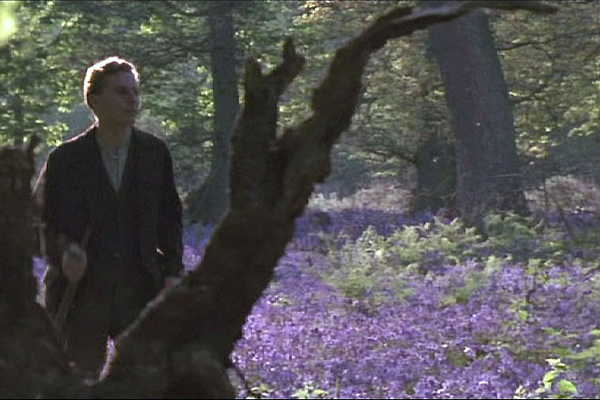 Whenever I stumble across Howards End on cable, I can’t help but stop and watch the whole thing. I’m immediately taken back to that night, that date that changed my life and way of seeing things. Connect with the world outside. Just get up and go. Make it happen. What are you waiting for? So it’s not the happiest of endings, but it’s a just one. Life doesn’t always end up in tidy little packages with pretty bows, but we persevere. We walk across the countryside, we take the trip anyway. 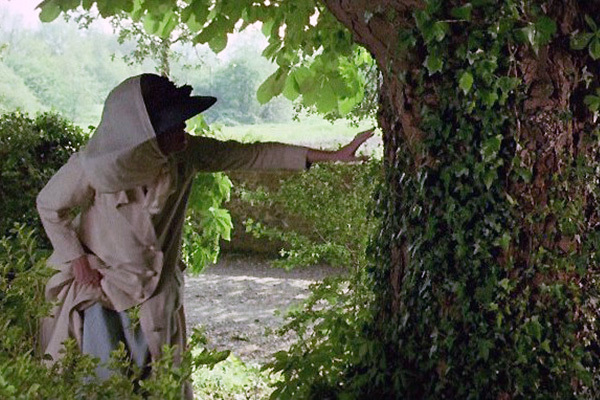 Both this movie and A Room With a View absolutely slay me when it comes to the locations. I loved this post! 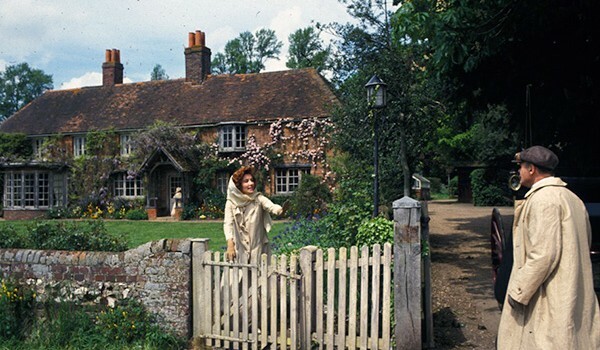 The house in Howards End is so gorgeous–because it’s a home, and not a stately one. It’s got wonky floors, and low ceilings, and piles of books around. There’s a National Trust house in the south of England called Charleston House, which belonged to Virginia Woolf’s family–lots of artists and writers–and has a similar, very lived-in feel. There are rooms that are decorated by the family–their own art projects stenciled on the fireplaces and beams. The final room that you see on the tour is the wonderful art studio, and the cottage garden is beautiful. I also loved your Blo Norton experience! Is that Warwickshire? There are a number of Norton names there. Do you all travel with steamer trunks for those beautiful outfits?